A roundup of recent products in the GNSS and inertial positioning industry from the February 2019 issue of GPS World magazine. The L26-DR dead-reckoning GNSS module is a multi-GNSS receiver embedded with a dead-reckoning solution to greatly improve positioning accuracy and speed while simplifying customer designs. The dead-reckoning capability ensures the module delivers the highest performance positioning solution available, even when GNSS signals are absent or compromised. Equipped with six-axis sensor MEMs and a powerful GNSS core, the module provides high sensitivity, fast GNSS signal acquisition and tracking with low system integration effort. The L26-DR can acquire and track any mix of GPS, GLONASS, BeiDou, Galileo and QZSS signals. 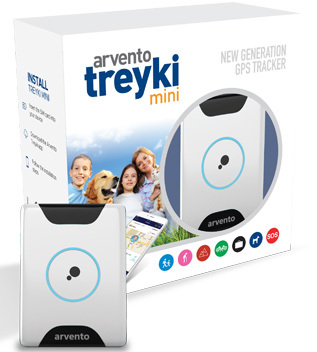 The Arvento Treyki Mini is a compact people and asset tracking device with eight operating modes, including special settings for tracking children (with geofencing) and senior citizens (with an integrated fall sensor). It is also suitable for use in sports, racing and asset management and can be used as an emergency beacon. 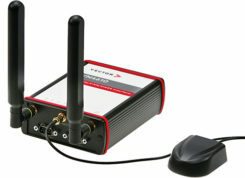 It has an onboard positioning receiver, and reports its location using an internal GSM/GRPS modem. It can operate for up to seven days from its 900mAh LiPo rechargeable battery before it needs to be recharged. It uses the u-blox ZOE-M8Q concurrent multi-GNSS module, which is able to receive 72 channels simultaneously. The new Antenova Raptor achieves high accuracy using the L2 1200-MHz GNSS bands. The L2 band combines multi-band satellite signal reception and GNSS correction data, helping to mitigate position errors. 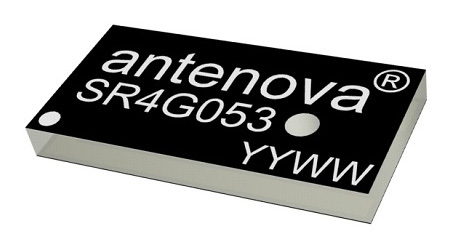 The antenna is the latest addition to Antenova’s lamiiANT range of rigid FR4 antennas designed for easy insertion onto a printed circuit board (PCB). It is a GPS single-feed antenna in surface mount (SMD) form, measuring 16.0 x 8.0 x 1.6 millimeters, suitable for small PCBs within all kinds of small electronic devices. Raptor is supplied in tape and reel for ease in high-volume manufacturing applications. 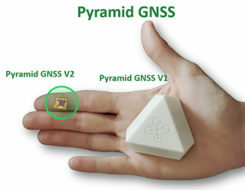 The Regulus Pyramid is a fully functional GNSS receiver fortified with spoofing detection capability. 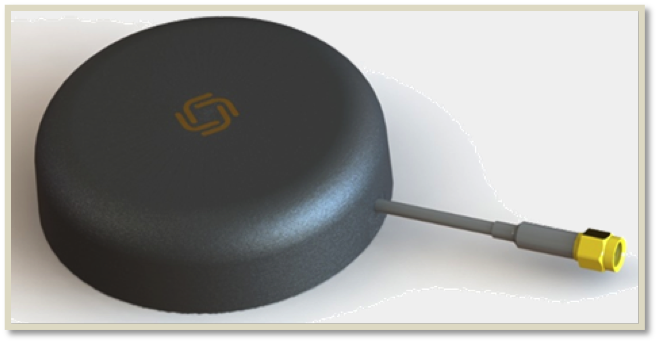 The receiver contains patented technology that enables it to differentiate between real GNSS signals and fake ones generated by an attacker. It is availble both as a fortified GNSS receiver (v1), capable of detecting spoofing attacks, and at the chip level (v2), allowing mobile phones, cars and internet of things (IoT) devices to receive GNSS spoofing protection. A Pyramid GNSS Add-On can be integrated with another satellite receiver to enable spoofing detection capabilities for any GNSS board. The AGR6302 and AGR6303 GNSS patch antennas are designed for precision dual-frequency positioning. 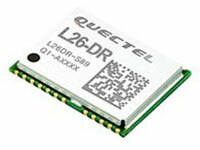 The AGR6302 is capable of receiving L1/L2 bands, and the AGR6303 is capable of receiving L1/L5 bands. 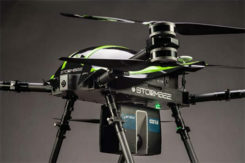 They are designed for UAVs, precision agriculture, autonomous vehicles and other applications where precision matters. The AGR6302/AGR6303 active antenna is designed to cover GPS, BDS, Galileo, GLONASS, IRNSS and the QZSS system. It employs a stack four-feeds architecture with hybrid to achieve the multi-band operation, lower axial ratio, wider half-power beamwidth and excellent right-hand circular polarization. It is housed in a compact, industrial-grade waterproof and magnet mount enclosure. The Alta 8 Pro multi-rotor drone includes waypoint technology to allow preprogrammed movements and autopilot functionality. The Alta Pro flight controller runs open PX4 flight stack for quick and powerful interfacing. The Alta 8 Pro fuses readings from accelerometers, barometer, and GPS to create high-bandwidth height control flight mode. 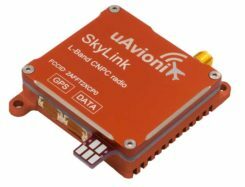 By fusing GPS data with an IMU and barometer, the drone is able to hold position even in difficult weather conditions. The DJI Phantom 4 Pro RTK (P4R) drone is now integrated into the AirGon Sensor Processing Suite (ASPSuite). ASPSuite is a post-processing solution for GeoCue’s Loki direct geopositioning system for DJI and other drones. The ASPSuite enables integration of the P4R with third-party L1/L2 GNSS base stations such as systems from Septentrio, Leica, Trimble, Topcon, CHC and others in a high-accuracy PPK workflow. It includes support for engineering-grade survey options such as vertical transforms, creation of and transformation between collection datums and local coordinate systems, application of antenna static and dynamic lever-arm corrections, and full support for Loki direct geopositioning systems. 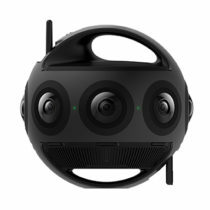 The Insta360 Titan is an eight-lens cinematic virtual reality (VR) camera that captures 360-degree photos and video at up to 11K resolution. The Titan uses eight micro four thirds (MFT) sensors, the largest sensors available in any Insta360 standalone VR camera. It has a GPS signal antenna and a Wi-Fi signal antenna. The sensors maximize image quality, dynamic range, low-light performance and color depth, increasing realism in high-end professional VR capture. 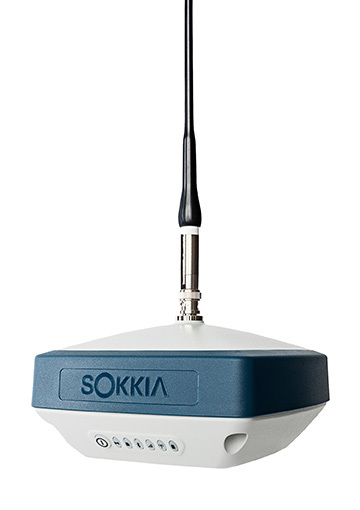 The GRX3 is designed to provide a smaller, lighter and fully integrated GNSS solution to Sokkia’s GNSS receiver line. Its compact and lightweight housing has been tested to meet IP67 certification for protection against harsh weather. 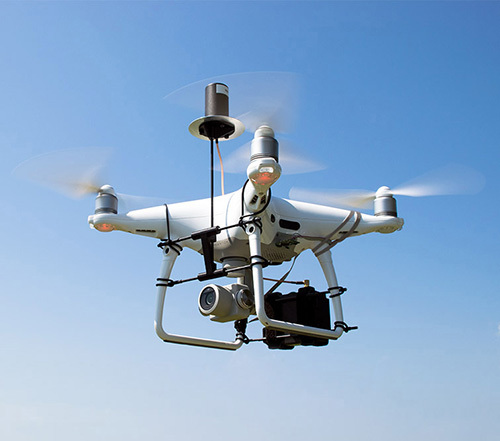 The receiver features Sokkia Tilt technology, which includes a nine-axis inertial measurement unit (IMU) and compact eCompass designed to compensate for misleveled field measurements by as much as 15 degrees. UTC technology automatically tracks signals from all available and planned constellations, including GPS, GLONASS, Galileo, Beidou, IRNSS, QZSS and SBAS. 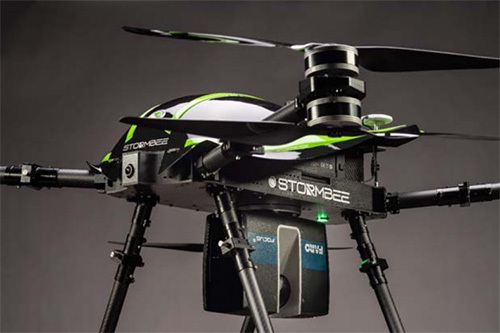 The Faro–Stormbee airborne solution includes the Faro Focus laser scanner, the Stormbee S series UAV and the Beeflex software suite. It enables wide-area scanning missions such as highways, train infrastructure and buildings. It allows users to capture complex environments traditionally inaccessible to ground-based scanning. It has no need for control points. 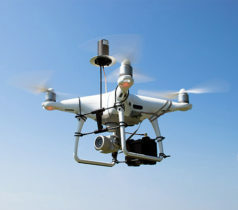 Users can create centimeter-level accurate point clouds directly from the in-flight data. The new Infrastructure and Technology series of documentary videos is designed to foster awareness of growing global infrastructure demands and the technology that can help meet them. Experts interviewed include representatives from Intel, SAP, Industry Consultants, Constructech, Solar City and Topcon. 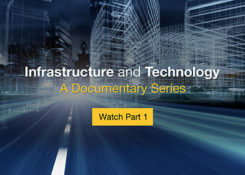 They discuss how, by adopting technology, the construction and agriculture industries can increase productivity and help address infrastructure needs now and in the future.The series was filmed globally in the U.S., the Netherlands, the United Kingdom and Germany. 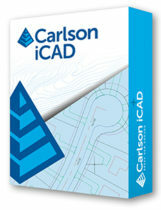 The specialized drafting package Carlson iCAD 2019 allows technicians to supplement the finished product in their project deliverables. New additions and functions to the iCAD 2019 release are new tool palettes, new 3D solid commands, additional DGN support, and new express tools. iCAD features Google Earth import and export KML/KMZ, standard CAD entities and the drawing inspector tool.Carlson iCAD 2019 has been built with and updated to the IntelliCAD 9.0 engine from the previous IntelliCAD Technology Consortium 8.3 release. IntelliCAD 9.0 supports direct read of DGN files, allowing users to make edits without converting drawing formats, and features a CUI interface for custom workspaces, toolbars and ribbons. The 2019 Geographic Calculator features a universal copy and paste function, a new angular unit conversion tool, support for NADCON 5.0 and updated seismic survey conversion functionality. 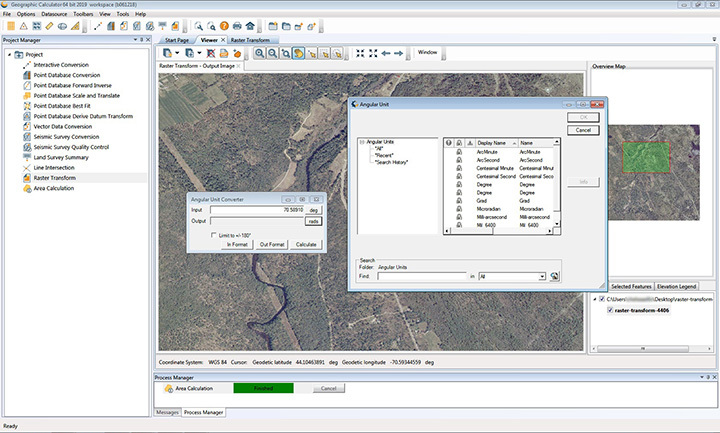 The foundation of the calculator’s geodetic data-processing functionality is the embedded GeoCalc datasource, which is continually revised and improved with updates through the online GeoCalc Geodetic Registry. The datasource included in the 2019 release mirrors the most current EPSG database definitions. The calculator’s copy and paste function can be used to quickly capture data for use in a third-party application or to insert new coordinate values in an existing job. The InvenSense Coursa Drive software is an inertial-aided positioning solution for autonomous vehicle platform developers. It is a high-performance extension of the InvenSense Positioning Library (IPL), which has provided sensor-aided positioning to more than 50 million devices worldwide. Coursa Drive enhances inertial-only vehicle positioning to <0.2 percent of distance traveled, accuracy critical to maintaining decimeter lane-level vehicle positioning in challenging GNSS/perception system environments. Coursa Drive’s inertial navigation system (INS) calibrates using absolute position inputs from either high-accuracy GNSS receivers or from perception-based systems (camera, radar, lidar) with high-definition (HD) maps. In real time, Coursa Drive provides high-rate, 100-Hz delta positions and orientation to the autonomous vehicle system, complementing the lower rate position references from GNSS and perception systems. For non-real-time applications such as HD map creation and maintenance, Coursa Drive’s offline mode reprocesses INS data at two to three times higher accuracy than real-time mode, providing HD map companies alternative position references to verify HD map accuracy, even without GNSS, for up to 60 seconds. 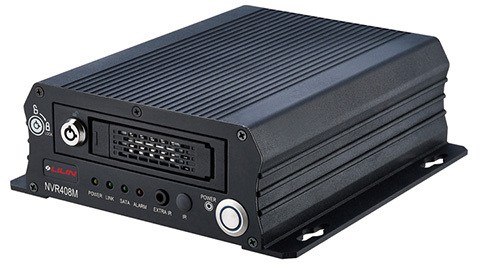 The mobile NVR408M with GPS navigation is designed for use in moving vehicles, remote locations or rugged environments. The rugged compact design works in harsh and demanding conditions to deliver quality video surveillance. Typical applications are in law enforcement or public transportation, using vehicles such as trains, buses, trucks, cars, airplanes and ships. NVR408M is an EN50155-certified product, able to withstand severe vibration and shock and making it suitable for railway applications. The VN4610 is a powerful interface for accessing IEEE 802.11p and CAN (FD) networks for Car2X/V2X communication using a USB PC connection. The VN4610 provides precise position, time and speed information that can be used by the application as test stimulus or for documentation. The absolute GNSS timestamps can be used to synchronize recordings of distributed measurements for subsequent analysis. The u-blox NEO-M8U supports GPS, GLONASS, Beidou and Galileo — up to three systems simultaneously. The IEEE 802.11p-based dedicated short-range communication (DSRC) communicates in the 5.9-GHz range. The VN4610 supports the unfiltered receiving and sending of IEEE 802.11p frames used for the implementation of Car2X/V2X applications. The received IEEE 802.11p radio-signal-based frames are transferred to the application synchronously to the CAN (FD) messages. 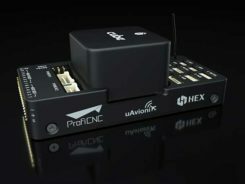 The Pro Line Fusion avionics upgrade for Pro Line 4-equipped Bombardier Challenger 604 series aircraft has been certified by the U.S. Federal Aviation Administration (FAA). The all-in-one upgrade complies with pending mandates while modernizing the flight experience for pilots. The upgrade includes ADS-B mandate compliance, SBAS-capable GNSS, localizer performance with vertical guidance (LPV) approaches, radius-to-fix (RF) legs, geo-referenced electronic navigation charts, widescreen LCD screens and synthetic vision.